iPhone has become an integral part of our daily life. It is hard to imagine our world without this favorite device. iPhone's popularity is largely explained by a wide variety of applications for this platform and a convenient way to access them using the App Store. Many unusual applications for iPhone get the attention of media, but there are also programs that do not have a loud name, but are absolutely essential for us. Today we bring you the 7 most unusual ways to use your iPhone, beginning with getting the first aid during an earthquake and ending with the remote control of your house! 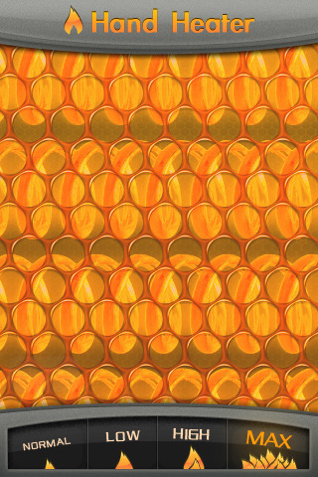 Leave your comments if you like them or if you can add some more iPhone unusual applications to our list. We think it would be better to start with the most dramatic application. Imagine how thankful you will be to your little gadget for saving your life. Have you imagined? Such a situation happened to what happened to Dan Woolley, an American filmmaker. A special application helped him to get out of rubble after the earthquake in Haiti. The program also prompted him to set reminders in order not to faint because of a pain shock. 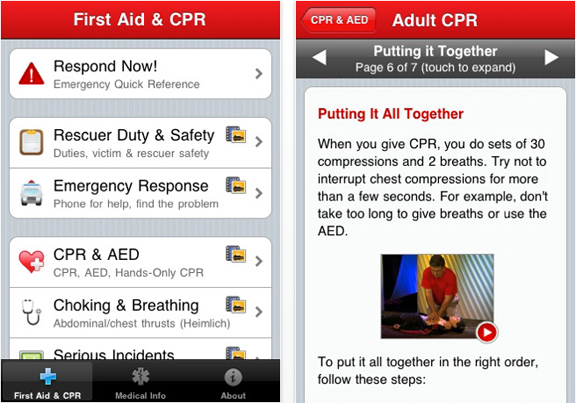 Here are some examples of such applications: St John's Ambulance First Aid and Pocket First Aid and CPR (the last one helped Woolley actually). Yes, it's true. iPhone helps women get pregnant! One lady from Great Britain (Lena Bruce) had been trying to get pregnant for four years until she bought iPhone and downloaded a free app named Menstrual Calendar. Bruce became pregnant after two months of this app usage, and it happened exactly in the day predicted by the program. A child has been named "iPhone baby". 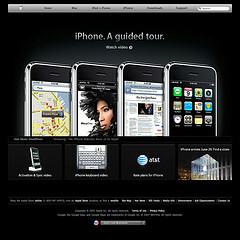 Kevin Miller from Gizmodo told the story about how he found the thief of his iPhone with the help of MobileMe service. Miller's iPhone was stolen at the bar in Chicago. 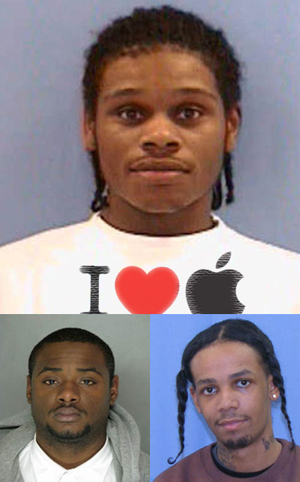 The next day he took advantage of using the service's function named Find My iPhone to track the thief down. You won't believe, but he had easily found that guy and was able to return this device! Miller is not the first or last lucky guy in the world. Imagine that you have been robbed and you've lost all your things, including iPhone. Mobile Me gives you a chance to get all stolen things back! So, there is no need to ignore this app, as it can be very useful for you. Are you cold? Then this solution is exactly for you! Hands Heater application will turn your iPhone on and warm it up for you to warm your hands. We think it will spend more battery power than heat the device, so please, don't wait too much from this application. However, we find it unusual enough to be in our list. 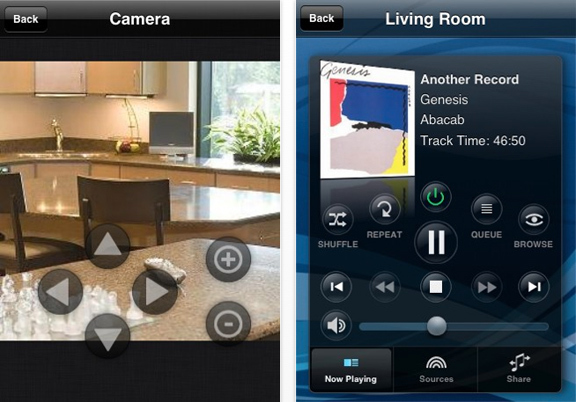 There are several applications (Lifeware, Crestron, iHome or Smartunity) that give you a chance to get a remote control of your house. It can be alarm clocks, coffee makers, locks, lights, air conditioners - anything. Some programs can even control the power consumption, so you can save on your apartment fee. There are a lot of applications in the App Store that can act like a computer mouse, but the best one is Air Mouse Pro of course. Air Mouse Pro provides many features, even more than the trackpad of your MacBook. In addition, it can be used to replace a keyboard. 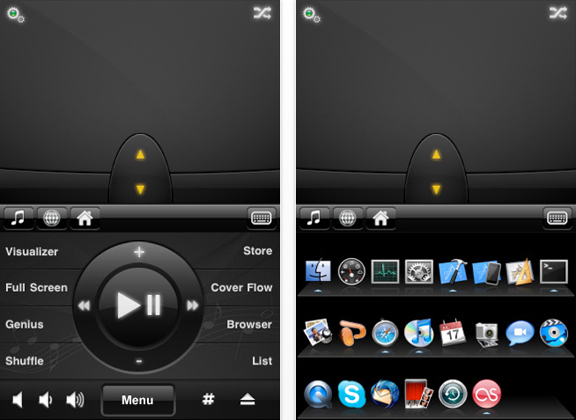 Besides Air Mouse Pro allows media applications remote control. Viper SmartStart is the application which provides the same functions as ZipCar (and even more), but this time it is for your own car! 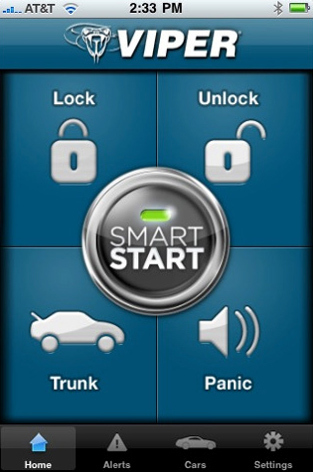 You can open the car locks, open its trunk, turn a dial or remotely start your car! It must be very comfortable, although we would better keep keys with us anyway for the case when there is no Internet connection around. Guest post of Alex Strike, a blogger of writing-help.com. Alex is interested in many fields, including movies, techs, concept gadgets, and sports cars. Losing precious files from your hard drive and similar storage devices is quite obvious and occurs frequently. Probable causes could be accidental file deletion (shift + delete), hard drive formatting, erased partitions, virus/Trojan attacks etc. 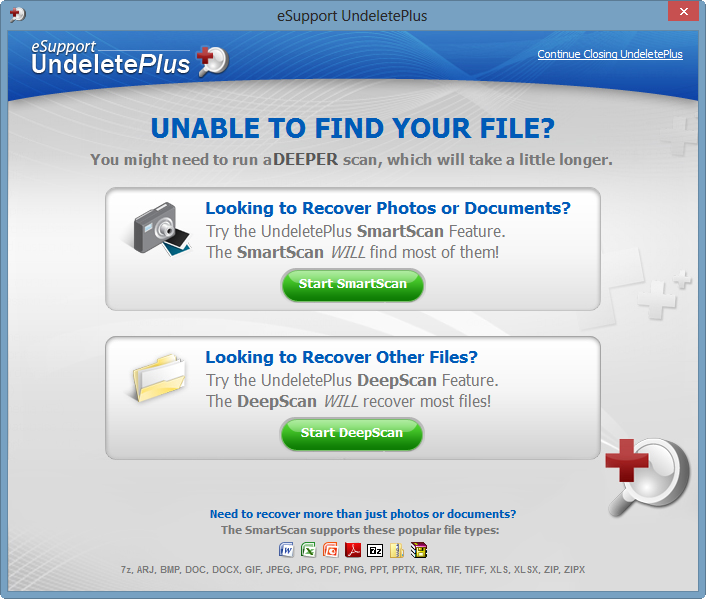 Remember, deleted files will still exist somewhere on the problem drive and have high chances of recovery if proficient recovery software is used like UndeletePlus from eSupport.com. MFT (Master File Table) maintains records of every file stored in your hard drive and will place an actual copy of data on the platter. Whenever, you delete or format data, only the targeted space will be marked as free and marked to save other files in the future. Traces of deleted data are still stored in the MFT and will continue to exist till the space is overwritten with other files. Remember, once deleted files are overwritten, you won’t be able to recover them even by using professional recovery software or data recovery services. UndeletePlus from eSupport will make your data recovery process easier than ever, and will recover files emptied from your recycle bin, formatted or hard deleted (Shift + delete) etc. It’ll easily recover files from a list of storage devices including desktops/Laptops, removable media, hard disk drives, flash drives, memory cards, external hard drives, leading camera brands etc. The software supports all the latest version of Windows, including Windows 8/7/Vista/XP, and recovery of almost any type of document like pdfs, jpgs, emails, mpegs, MS Word documents, Power Point files and many more. The software has an intuitive interface and user friendly design to make those tedious data recovery tasks easier. The software also offers wizard based recovery methods for novice PC users to recover files based on certain parameters. On the main screen of the software, you are able to see any or all the storage devices (either internal or external) connected to your PC. Choose the desired drive to scan by checking the box before the drive name. Once you’ve chosen the drive to scan, click on the button Start Scan. The software will begin searching for lost files and folders, and soon the screen will pop up stating the number of deleted files and folders that have been found along, with the type of deleted files like photo, documents or miscellaneous files etc. Navigate around the scan results and to find the deleted files that you’re looking for, next click on Recover File to save the file to any local storage location. It’s always recommend to use a different drive for storing recovered files as it’ll have a higher probability of being lost or damaged again. 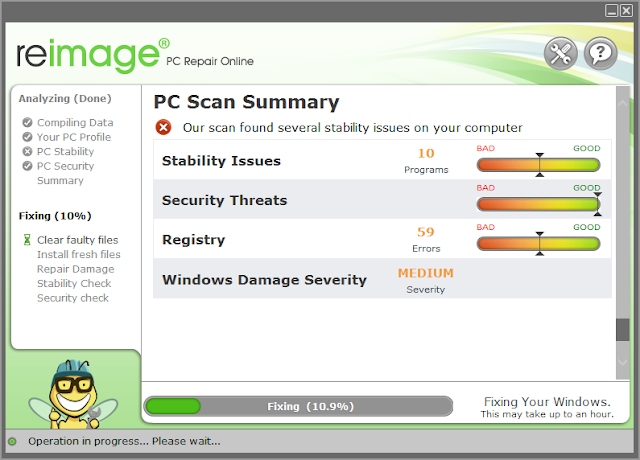 If the desired file is still missing, or normal scan mode wasn’t able to locate the desired deleted or formatted files, try the most powerful built-in recovery option entitled Smart Scan, which will analyze and scan problem hard drives, sector by sector, and recover severely damaged or corrupted files. Moreover, if the drive is in RAW status or suffering from serious damages, the software is still able to locate and restore files. There is a similar option called Deep Scan, used to scan files that are missing from normal scan mode or smart scan mode scan results. However, it’ll take a little longer time than expected, due to scanning drive cluster by cluster. The software is perfectly suited for almost any situation of data loss, and runs in read-write mode, which will help protect your deleted files from being overwritten. UndeletePlus performs pretty well and is a faster scan drive as compared to its competitors like Kroll on Track, R-studio, GetDataBack etc. In the World Wide Web, everyone can benefit from uninterrupted communication. More often than not, misinformation and delays are the causes of turmoil in websites, chatrooms, online portals, and forums. Have you ever encountered a situation wherein a product you ordered online is botched and you cannot reach any customer service? This is already a very common situation. Websites and blogs today need all sorts of ways to communicate with large groups of people. To do this, sometimes, handy applications are needed. Currently, a simple application is now dominating certain sectors of the blogosphere. This application is known as Chatwing—an embeddable chatbox that can ensure waves of traffic to any blog or website. Apparently, it can also help web users reach their online goals. Once installed to a blog, Chatwing tool provides a lounge wherein visitors can talk about many important topics. The blogger or website owner can even create hearty discussions in the chatroom—it’s all about interaction in many ways possible. At average, the chatroom can accommodate hundreds and thousands of visitors. The exposure of any website is really high, contributing to a stable stream of web traffic. It can accelerate all website-based discussions twofold. There are also numerous customization options that the user can access anytime. These options are full of color combinations and different parameters. 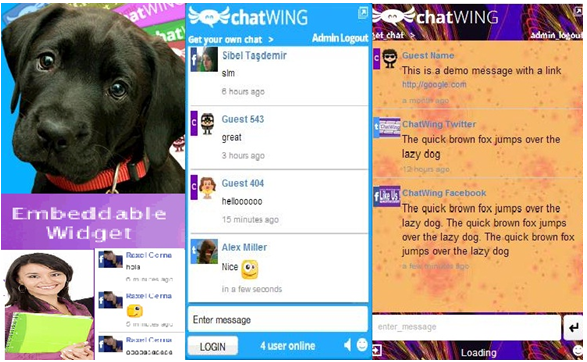 Chatwing also has social media extension. Visitors can log in with their Facebook, Twitter, Google, and Yahoo accounts. Now, discussions can reach the social media arena wherein people can visit pages, groups, and create communities that are niche-centric. Entrepreneurs can use this social media leverage as part of their online marketing campaigns. Any online goal can be reached with proper means of communication. The Chatwing chatbox may be a very simple tool, but it can deliver professional standards in just days or weeks of usage. More than that, it can provide online exposure to any user, without having to pay for overwhelming subscription fees. AppleXsoft hard drive copy makes it easy for you to transfer the entire content (residing files, programs & operating system) from any source hard drive to destination hard drive in three easy steps: Select a source drive; select a destination drive & Select Migration. You can easily create an exact bootable clone of your hard drive and then securely replace your old, already filled hard drive. 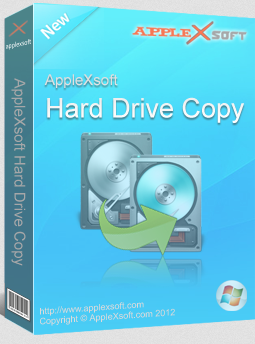 AppleXsoft hard drive copy can also be used to permanently wipe the entire content of any hard drive that is of no longer use or you want it to hand over to someone else. The software becomes handy when the current drive runs out of space and you bound to switch on another hard drive of larger capacity and better performance like SSD (solid state drive). This software is capable to make the exact replica of source hard drive data, installed programs, stored files & folders and place it in the new hard drive without modifying anything. The software uses auto expansion function to expand source disk partitions proportionally on the destination drive. Instead (without using any hard drive migration utility), you’ll need to involve yourself in those hectic tasks like installing a fresh copy of Windows, manually copying and pasting all the content from the source drive to destination drive, reinstalling programs etc. Easy migration from your old completely filled hard drive to brand new HDD or SSD with all the booting functionality & capability. 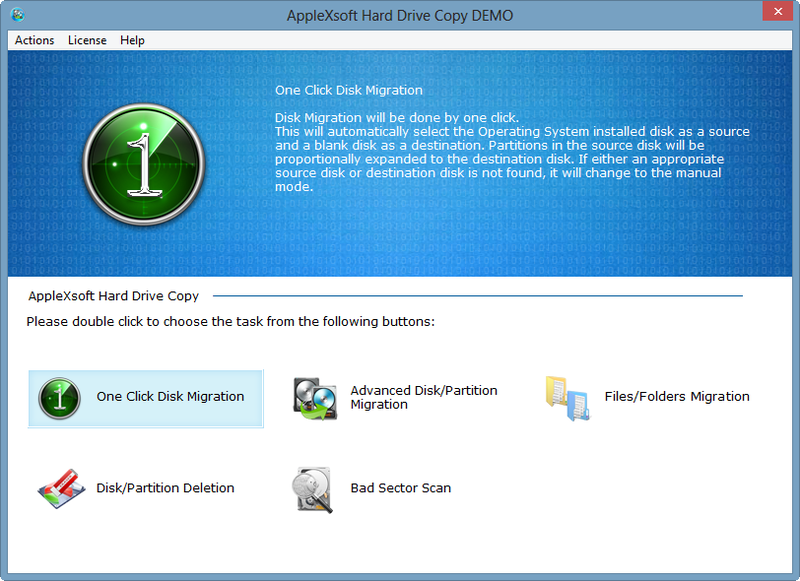 Clone/Copy entire hard drive or any specific hard drive partitions in just one click. Migration will be done without reinstalling Windows. That means, you’ll no longer need Windows Activation Key or Windows Installation media like CD DVD, USB, external hard drive etc. Successfully Copy/Move stored hard drive content and then permanently wipes off your hard drive data to securely dispose it. Data deleted using efficient data wiping method of this software will not be recoverable even after using professional data recovery software from leading brands like Stellar Phoenix, Kroll on Track, GetDataBack etc. Supports all the latest Windows operating system including Windows 8/7/Vista/XP etc. as well as 32-bit & 64-bit mode. There are bunch of situations arises in everyday life when user’s have to switch from old hard drive to new hard drive. The probable causes could be hard drive is failing, running out of space, need faster performance which is almost impossible in your old hard drive because of any virus/Trojan attack, hard drive overage etc. AppleXsoft is specially built to address solutions to such tedious circumstances with using minimal efforts and fewer resources. AppleXsoft will ask for minimal payment ($ 50 USD) to unblock all the premium functionality but it worth having it on your PC. Management is an integral part of any organization but could be a hectic task without using a proper system. Absence of powerful management system could throw organizations out of the competition. Great membership software like aMember could be your choice of needs and must have utility especially if you’re running e commerce type websites or anything else that has a large audience subscribed to any of your products or services. aMember Pro is a professional online software for managing membership websites and can be easily integrated with multiple payment processors such as Paypal, Clickbank, Worldpay and many more. Moreover, you can easily integrate aMember pro with any CMS & BBS based websites such as Joomla, Xoops, PHPBB etc. Remember, you’ll require a latest version of PHP & MySql to be running at your server. Basically, aMember works as a secure background subscription management system that can be easily integrated with any third party content management system and allows you to easily manage all the subscriptions at one place and have clear about the subscription renewal, payment delivered or not or everything else that you want to know about your subscription channel. aMember Pro is available in 17 languages so far and more to come. The current languages supported by aMember Pro are English, Danish, German, French, Croatian, Norwegian, Portuguese, Russian, Turkish, Greek, Spanish, Hebrew, Italian, Dutch, Romanian, Swedish, Chinese. You’ve full control over which fields to ask for customers to fill in the text box like the product, payment system or choose language. Rest assured. You can set ReCaptcha form to prevent automated submission form and spam attack. aMember Pro can be easily integrated with over verity of payment processors like Paypal, 2Checkout, 1ShoppinCart and many more. For full list of currently supported payment systems by aMember Pro, look here. Businesses can track record or current status of any or all their affiliate marketers and keep an spy eye on their recurring billing, refunds and charge backs. 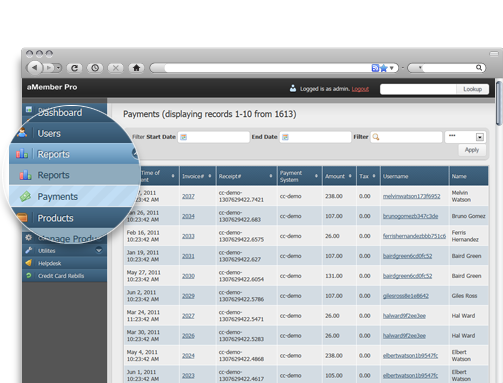 You may also able to turn customers into affiliates and provide a separate form for affiliates as well. Moreover, you’ve full capabilities to reward your top performing affiliates. Create and manage your own e-mail lists for users to subscribe and get daily or periodically email notifications. Users with administrator privileges can able to send bulk emails to users to inform them about any new offers or latest lunch products or services. Moreover, you are capable to send specified set of emails to dedicated customers based on their country location, subscription level, or periods to customer. aMember uses simple technologies and scripts to help you easily install it on your platform and start to work immediacy after installing the script. Support team from aMember would helps you in each and every step to get you started with aMember. Pros: aMember offers attractive suite of membership management with bunch of useful tools that greatly helps business to keep going their membership typed website with easy. Cons: Taking caution in implementing scripts with your current running CMS is important. However, you don’t need to worry as aMember Pro support team is always there to assist to make the best out of it. The Verdict: aMember Pro is definitely a recommend yet affordable membership software and is hard to find anywhere else in such a low cost (USD $ 180). You’ll find great support services from aMember support team which helps you in flawlessly using aMember. If you’ve already used this software or planning to, let us know your thoughts in comments. There are numerous new smartphones that are launched each year. Apple's iPhone is among the most popular and best-selling brands. In fact, it is only recently that it has begun to face real competition. Apple typically launches a new phone each year. In late 2011, they released the iPhone 4S. In September of 2012, Apple launched its latest phone, the iPhone 5. The iPhone 5 comes with a relatively different design from the previous versions. For instance, the phone features an industrial design, instead of the previous 4S's glass and plastic. It is made from anodized aluminum black which offers considerable durability. The phone's size is also ideal for most people. Even though it is larger than the previous iPhones with an inch that spans four inches and an aspect ratio of 16:9, it is comfortable to hold and to talk on. The bigger Android phones, like the Samsung Galaxy Note 2 and the Galaxy 3, are simply too enormous. The Galaxy Note's screen size is a massive 5.5 inches. Even people with massive hands will have a challenging time handling it. The iPhone is not large enough to be uncomfortable, and it is not small enough to be inconvenient to navigate. The phone is also light. It weighs only 112 grams. This is considerably lighter than most competing phones within the market. This means that transporting the phone is easy and that you will not feel weighed down if you are on a call that lasts a considerable duration. The iPhone 5 has also changed the speed. The response time of applications is quick. This means that if you tap on an app, it will instantly launch. The iOS 6 interface has virtually no lag. This means that it can easily handle all the latest and heaviest mobile apps. The phone also comes with an improved camera. Its rear camera is an 8MP iSight camera which improves on video quality and low light photography. While numerous phones struggle in taking photos within an environment with low light, Apple's latest phone takes these kinds of photos with the utmost ease.The iPhone 5's battery life has improved. You can surf the web, listen to music, check your mail, check out websites like Facebook and Instagram, and the charge will last the entire day. Constantly playing mobile games or shooting videos will drain the battery much faster. However, it is just about the same as other smartphones within its league. The phone also has other changed features. For instance, the headphone jack has been moved to the phone's bottom. In addition, the thirty pin connector has been replaced by the lightning port. This may be inconvenient to some users who own chargers for the previous models. However, the connector is easy to use, and it facilitates the phone's size to be more compact and thinner. Another change, though small, is that the iSight front camera is now located within the center instead of the side. In all, Apple's latest phone comes with enough new features to warrant a purchase; the dynamism of the product is unparalleled. This is an insight in this regard. 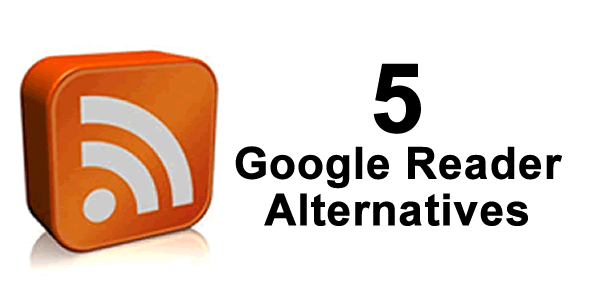 With Google pushing because of with its programs to shutdown the famous Google Reader RSSfeed service on 01 July 2013, its faithful users have been stuffing to get the next greatest RSS service where they are able to take refuge. Apart from the truth that an extensive and dedicated user base will get impact once this happens, it’s also commonly recognized that a variety of relevant solutions depend on Google Reader’s API. Therefore, the stopping of Google Reader also indicates auto death to their services whenever they do not find workarounds. Fortunately, this news also started out numerous prospects for those who desire to present solutions to RSS users among the upcoming Google Reader trouble. Check it out at many of them. Known as by many Apple enthusiasts as the ideal RSS newsreader for Mac and iOS, Reeder’s major crowd drawer is its wonderful and easy interface supported by reliable accessories. In addition, it certainly not fails to target the require for other features starting from sharing choices and protecting functions, to addition with solutions such as Pinterest, Instapaper, Evernote, Pocket, Twitter, and Facebook and User interface tweaks that can gratify users that need complete choices. Even so, allow it to be obvious that Reeder has its own display structure and it lacks sub-folders so it’s just only perfect to those who don’t have a large number of feeds stored. A different service that’s been increasing much focus recently as a Google Reader option is NewsBlur. It’s an organized service that will demand you to pay some smaller but it’s also free. All of the feeds you import from Google Reader will detailed by category around the left panel and then once you simply click on a feed including things from the Ring Central website, for example, you’ll manage to see a divided screen including the opinion of the story from the site and check out other stories from the feed. Launched in 2008 and based in Palo Alto, California. Feedly is privately organized company, known as among TIME Magazine’s Top 10 Smartphone Applications previous 2011. Currently, this aggregator, which provides option to search and find out feeds, is free and accessible on the iPhone, android, iPad devices and on the desktop as a plug-in for Mozilla Firefox, Google Chrome and Apple Safari. Its website states that over millions Google Reader “refugees” already have turned to it. Taptu is among the friendliest applications regarding platform interface and flexibility, being accessible for iOS, Android and BlackBerry devices. The application areas heavy focus on social networking by enabling addition with a user’s LinkedIn, Facebook and Twitter feeds apart from being just a complete on RSS reader. Although some users may have obtained disappointed over its feed restrict, many people have heralded its great off-line reading service. It'll absolutely come in useful for all those who don’t have 24*7 accesses to the internet. FlipboardIn case you want something to turn blog posts, images, video, social networking and feeds into an amazing journal like layout, then you would be satisfied about Flipboard. Accessible on both the iOS and Android platforms, the application attempts to reproduce the expertise one would usually get from studying a newspapers or a magazine – some would also call it a "live magazine". Even upon its release years ago, it’s already drawn surf between users and technical experts and even acquired numerous awards. Therefore, in case you want an immersive aesthetic expertise to view your RSS feeds, believe in that Flipboard will provide. Stephan Wilikin has been writing on technology and ideal Mobile Apps Development Company related subject for over a several years now. Our articles or blog posts are a most effective source of information for the readers. His also provides an excellent deal of info on the ways. Follow me on Google+ now. Anyone who has ever had their online accounts hacked or personal data breached knows it is extremely stressful to learn that what you thought was private and safe has been compromised. People continue to use the Internet more than ever—for everything from shopping and working to staying in touch with friends and family through social media websites. The grim reality is that sometimes our personal information ends up getting into the wrong hands. This is one reason why so many people have turned to LifeLock to add a layer of protection against identity theft. The Ponemon Institute recently released its very telling annual study titled “2012 Most Trusted Companies for Privacy.” The results of the institute’s in-depth and objective research are both interesting and troubling. In the study, more than 100,000 adult consumers were asked to list up to five companies that they personally believed were the most trustworthy when it came to protecting their private information. The data collected was extremely telling. For example, American Express continues to hold on to the top spot as the most trusted company for privacy among consumers. Within the Internet and social media sector, Mozilla was found to be the most trusted company. Some of the new entrants to the Top 20 list include Microsoft and United Healthcare. In fact, healthcare in general is considered by consumers to be a trusted industry for privacy. Consumer products and banking were also rated very highly. On the flip side, Internet and social media (excluding e-commerce) are at the bottom of the list.Those who did not make the list of most trusted companies is, in many ways, just as interesting as those who did. Apple failed to make the list for the first time in four years. Other major names missing this year include powerhouses like Google, Best Buy, Yahoo, and AOL. The study also revealed that the topic of Internet security is at the forefront of most peoples’ minds—a whopping 78% of the respondents perceive the protection of their personal information and privacy as “very important” or “important” when determining if a company is trustworthy. The importance of privacy has actually increased among respondents over the past seven years. In general, identify theft was seen as the most significant threat to a person’s privacy, followed by government surveillance and data breaches. Speaking of which, 49% of the people who participated in the Ponemon study reported one or more data notifications within the past two years. Of this group, 77% of them said that their trust in the organization that reported the breach in security was diminished. Mozilla feels that the study’s rankings prove the deep-seated distrust that many consumers have about online services, according to WebProNews. The rankings also imply that technology companies like Facebook and Google have more work to do to earn the trust of the people who use them every day. 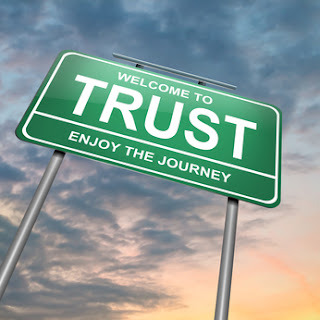 As far as becoming more trustworthy online, the study found that 73% of respondents believe that “substantial security protections” over their private and personal information is the key feature to improving a relationship with a business or government organization. How to make sure that you do need VPS? So, you already have created a website for your company and are planning to achieve the long term goals and business growth for your company. Now, when you are thinking of the ways to get business growth for your business, you need to give some thought to why you want to use the Virtual Private Server (VPS) for your website. Even though there are many reasons for opting for VPS hosting, you need to think of whether you really are in need of VPS hosting. Check out the points we have given below and be sure of the reasons for opting for VPS hosting. If you are planning on managing many sites at a time then opting for shared hosting will be very tedious and time-consuming for you. This is because of the fact that all your web entities will be sharing the server resources you have. Instead if you go for VPS hosting, you will be able to get dedicated resources such as RAM, disk space and processing speed for your each website. If you opt for shared hosting and you are trying to follow a strategy that will increase the number of users on your website, you will find that you have a limited sale on your website and the risk of your website getting crashed would increase too. Here, VPS hosting would enable you to subscribe for additional resources at any time and unsubscribe them whenever they are not needed. 3. Planning on using dynamic content on your website? Even though shared hosting would work fine for static HTML pages, it would never work if you are planning on getting dynamic webpages having interactive widgets, flash animations etc. Since VPS hosting provides dedicated resources and supports dynamic content, it would serve as the best option for your website. If you find that your site is taking too much of time to load then it must be due to the excessive usage of the resources that your web hosting provider has given you. The VPS hosting can work in this case as it offers a burstable RAM that can keep the site loading at all times with optimized running time. The shared hosting doesn’t offer great security options so using this service can lead to incessant security issues on your website. If your website contains lots of data and business transactions then we would recommend you to use VPS hosting instead of shared hosting. The VPS hosting service offers various security plans that would let you to add number of managed services that includes site monitoring and security updates. Even though we have provided a host of basic reasons that would tell you to switch to VPS hosting service, only you can find out the exact reasons for opting for this service. Since the VPS hosting provides a midway between the dedicated and shared server hosting, it is preferred the most by small business organizations. So, if you notice that you are experiencing the signs given above then go to a reliable VPS hosting provider and get an optimized plan that would fulfill the demands of your website. Jinal Shah,Web Consultant and Entrepreneur with substantial experience in building online businesses and developing web applications, cloud computing, VPS hosting and open source development. Anything released from the Apple stable is a surefire hit. So one can well imagine the response to rumors surrounding a product of one of the globe's most valuable companies. Such is the situation pertaining to the supposed "iWatch," which is currently the subject of frenetic speculation by reputable analysts. An anonymous official firmly believed to be an Apple insider has revealed potent details surrounding the iWatch. The person claims that Apple has assembled a 100-strong group of top-notch technical experts to design an advanced Smartwatch - widely said to be the iWatch. a) Phone calling with caller identification. b) Ability to view geographical maps including coordinates data. c) A state-of-the-art health monitoring system that would count user steps, check heart rates, and more. The well-known business news company is one of the main rumor catalysts - but with good reasons. Bloomberg asserts that Apple is definitely going to take the Smartwatch plunge as the company is keen to exploit the growing international watch market, which is said to be worth 60 billion dollars currently. Bloomberg claim that these views have been substantiated by Oliver Chen, noted industry observer. The iWatch launch would also catch the competition unaware as, beside the computer market, most companies seem to have centered on just the television industry. In addition, Apple could earn handsome margins owing to iWatch sales offsetting the slightly sluggish returns offered by its current devices (as evidenced by falling stock values). Bloomberg cites another compelling motive for the iWatch: Apple filing for more than 79 patents involving the phrase “wrist.” Out of these, application number US20120194448 is the most striking as it outlines an advanced wrist gadget complete with a solar-powered battery. a) Apple has specifically requisitioned for numerous packages containing Nike sports wristwatches some years ago. The reason was clear: Apple wanted to harness the innate technology and apply the same towards their own Smartwatch - the iWatch. b) A watch-shaped iPod Nano device had already been introduced in the market some time back. Though Apple withdrew the gadget quickly and replaced it with a conventional looking iPod Nano, it was enough to spark thoughts that the company actually intended to gauge customer reactions to a genuine iOS-powered wristwatch. c) The company had applied for over 79 patents concerning the expression “wrist” – an opinion supported by Bloomberg. Watch designer Scott Wilson shot to fame when he engineered a band facilitating the iPod Nano to be tied to the wrist thus resembling a standard timepiece. He propounds that people today are intensely accustomed to mobile device use and hence would welcome a Smartwatch - especially one developed by Apple. Wilson further reminds us that since similar efforts in the past by Microsoft and others had failed, Apple - owing to their proficiency in the mobile device realm , would be more than eager to fulfill this demand and reap rich dividends. Lastly, Wilson explains that enterprises like Pebble Technology, Martian, and Metawatch are all set to tie up with Google and Apple and retail wristwatches entrenched with the latter’s technology and software. Remarkably Pebble have procured over USD 10 million from the Kickstarter portal for this grand purpose. All this solidly points to the future sale of the iWatch. a) A convex glass dial. c) The capacity to transfer content to and from internet-enabled devices. f) Nike software and support. g) Focus towards female buyers. The above rumors and arguments are convincing enough to delight any Apple fan. Meanwhile - observers would, unquestionably, be keenly “watching” Apple’s future moves. Ryan Larkin authors about Technology topics, Internet, Gadgets and Blogging tips. He writes for BuyVerizon.com - a site that offers great deals on verizon packages. Weather your pc suffering from data loss circumstances or become inaccessible, you’ve almighty utility to address almost any PC problems from minor to major and you may able to bring back your PC to normal condition. 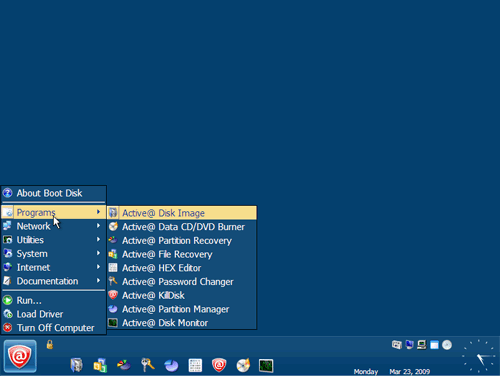 Active @ Data Studio from LSoft Technologies Inc. packed with bunch of powerful utilities like partition recovery, file recovery, boot disk creator, password changer and many others which is used for specific purposes, such as Active @ Boot Disk Creator will create a bootable media (Weather CD DVD or USB) and allows you to boot into Windows or DOS environment and use aforementioned tools either to recover your precious stuff, change Windows password, wipe hard drive, create drive image, monitor hard drive performance etc. All these utilities will available in both desktop & Windows booting environment. Loosing data is a kind of unavoidable situations and can strike at any moment. Definitely, having such powerful utilities will ensures your safety from every PC troubles that may eventually occurs and causes you to lose your valuable data or somehow got inaccessibility to the system. To give this software a head shot, press the download link on the website and install it on your PC. While installation, you’ll need to choose any or all utilities to install. However, by default all utilities were preselected to install and march uncheck the box to deselect any of the available utilities. 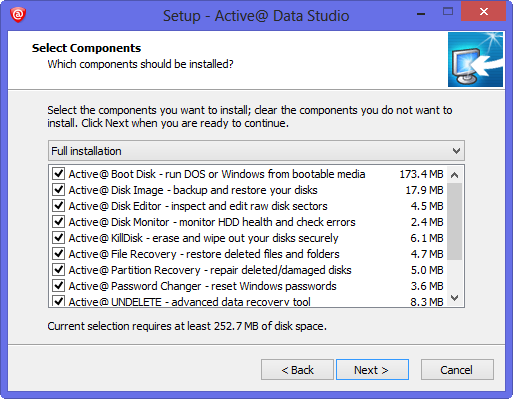 Recently, I’ve reviewed Active @ Boot Disk which will comes as a part with this great program and can be used for various PC problem solving purposes. Pros: In such a competitive price ($ 150 USD), you’ll not get all of the utilities anywhere else as in the Active @ Data Studio. Moreover, I’ve not met yet with any company that is offering this list of utilities in one single pack. Cons: Some utilities were created for only Pros like Hex Editor. So it’ll be useless for you to have those utilities on your system. 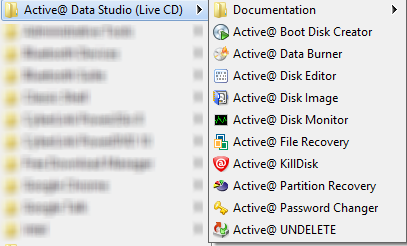 Definitely, Active @ Data Studio works as a backbone and throws out any or all your PC problems within the blink of eyes. LSoft Technologies Inc. masters in providing various PC problems troubleshooting and data recovery utilities and Active @ Data Studio would be the top most inventions by them. Reimage PC repair is an online PC repair utility that automatically detects almost any issues with your PC ranging from hardware or malware threats to registries or software malfunction and address fixes without modifying stored data. It’ll make PC repairing services easier than ever as you have to restart it once and let it complete the whole process by itself. Below is the list of problems that can be easily fixed using Reimage Repair? Blue Screen of Death (BSOD) or Stop Errors are the most common PC problems and occurs imminently because of outdated drivers, faulty programs, hardware issues etc. Addressing solution to this sort of problems is quite typical and might leave your PC in inaccessible state. Reimage Repair will automatically collects information behind any BSOD and provide most suitable solution. You don’t even have to manually set this program for fixing BSOD as all the fixing process is online. Startup Failure or restart in loop may prevent you to access any stored data or perform any computer operation. Reimage will collects log from the Windows directory and provides solution accordingly. Reverse damages caused by virus, malware, third party faulty programs. Third party application programs that is intended to interrupt normal computer operation which leaves system in unstable state. Hardware Problems like failed Hard disk drive, bad RAM, wearing out bus cables etc. So, How can you repair your PC? 1. Scan: Reimage will scan your PC for hardware issues, malware threats, stability problems, registry corruption, PC startup failure, blue screen of death, freezes, black screen problems etc. and list problems once it completes the scan. Note: This is an online PC repair tool, so make sure you’ve standard internet connection to thoroughly scan PC problems. 2. Activate: Once this tool completes the scanning process and reported any problems, you may able to see an activation Windows just below the scan results. If you’ve the activation key, type it directly into the text box open after checking the radio button after ‘I have the License Key’. Don’t afraid if you don’t have the license key, just press the green button entitled ’Start Repair’ and you’ll be redirected to pricing page and follow simple steps to make the payment for single license key valid for 1 year at just $ 69. You can have 2 more license key at just $15 per key, total $30 for two keys. 3. Repair: After successfully activating the program, you could start repairing system without any fear as it will not modify existing data or manipulate registries. The program will ask you to reboot PC to finish repairing your PC. Just click on reboot and let system restart. All in all, I’m pretty impressed with the performance of this great online repair utility. 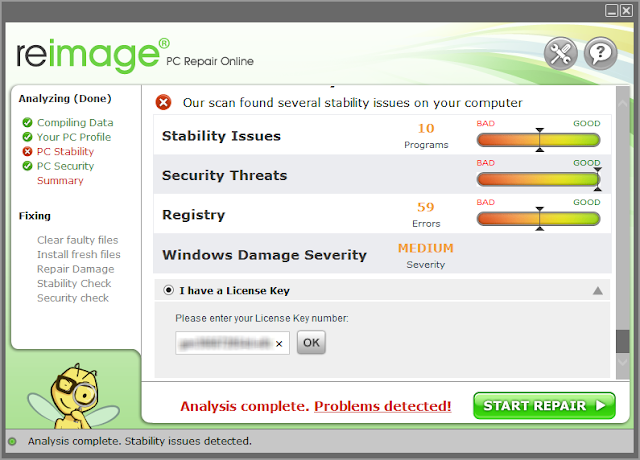 It takes maximum of 5 or 10 minutes to fully analyze computer problems and list you the scan results. Unlike other fixing or repairing utility, it won’t require you to be pro to fix minor or major computer problems. Definitely recommended and must have utility for users with any level of computer knowledge.